This cute cat mug is a pet themed delight that will make the purr-fect gift for cat lovers. 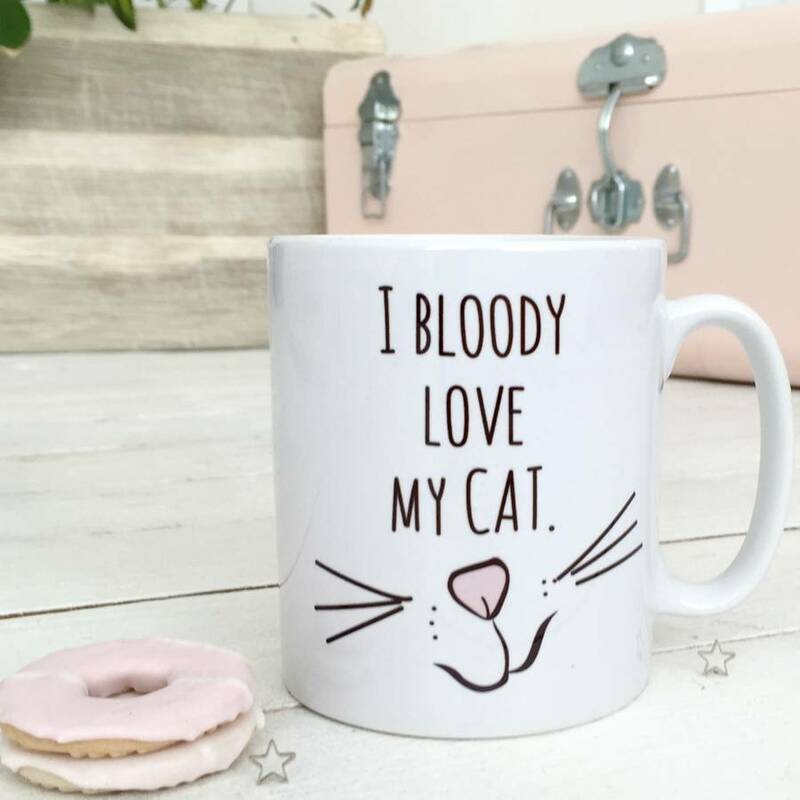 This sweet mug makes a lovely gift for any cat lover (including yourself!) 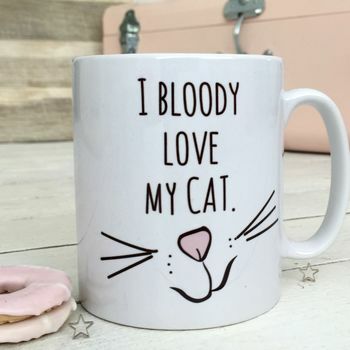 It reads 'I Bloody Love My Cat' or 'I Bloody Love My Cats', just choose your option from the drop-down menu above. Keep the cat lady (or cat man!) in your life happy with our cute cat mug. 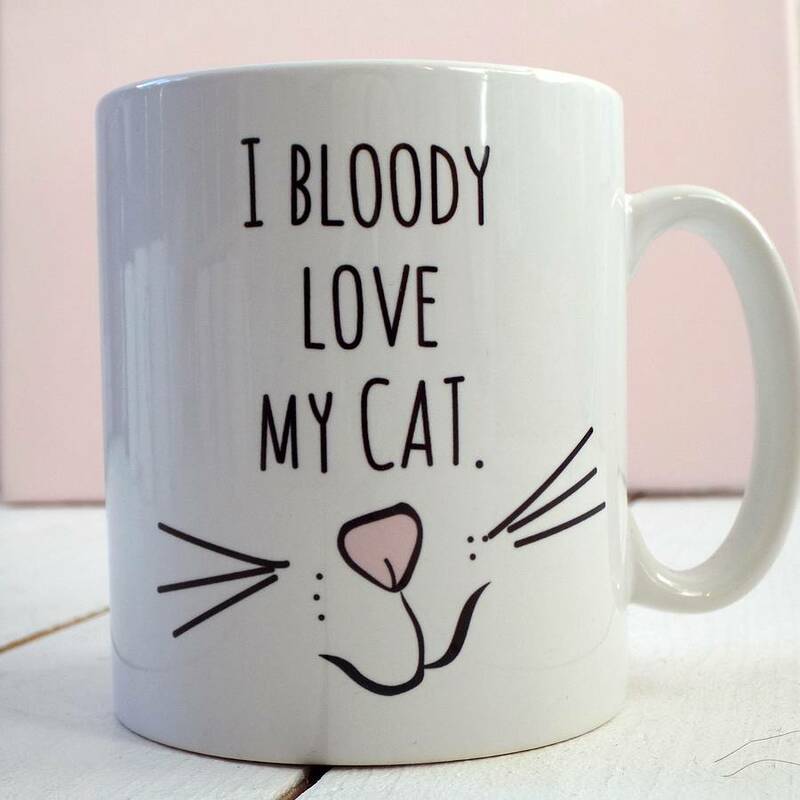 Perfect for curling up with a cuppa and having a kitty cuddle.